GDPR stands for General Data Protection Regulation. A European Union law is taking effect today May 25, 2018. The purpose of this law is to ensure that people living in the European Union have control over their personal data and to change data privacy approach of organizations across the world. 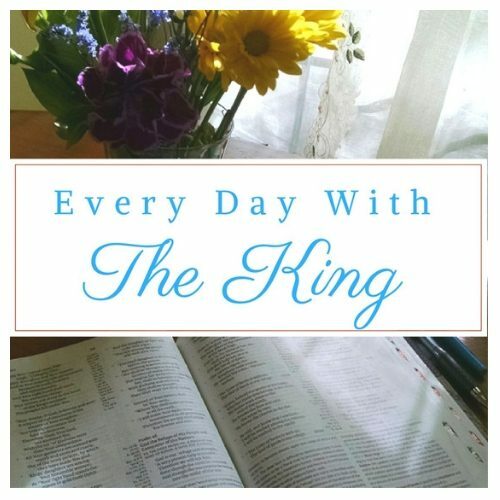 If you follow this blog, (Every Day with the King) your email address is collected at the point you begin to follow. Any notification you receive will be in regard to a recent blog post. You are able to easily unsubscribe at any time. To unsubscribe click the unsubscribe button or the unsubscribe link at the bottom of the emails you receive. You also have the option to unsubscribe from this blog by unfollowing me on WordPress. Otherwise, no action is required. It is my understanding, that this is the only information you need and it currently pertains to the European Union only. Please know that your privacy is always important to me! I will never sell your information for any purpose.